Recently I’ve been expanding my views beyond feminism. For all the academic talk about intersecting identities, I know that I am both a feminist and an American citizen who cares about my rights in both categories. I cannot ignore areas where either piece of my life is ignored. I cannot ignore the bombings at the Boston Marathon. While it is frightening enough that this happened earlier this week, I am more concerned about the government’s reaction. According to truthdig.com–an independent news site–Obama has ordered heightened security across the nation. It is not clear what measures will be taken to ensure our safety, but I do not believe our safety is the government’s top concern. No matter the cause of the attack, the mainstream media is using the bombing as propaganda to divide America. While Obama has not directly called the attack “an act of terror” mainstream news has latched onto the word “terrorism.” Terrorism is technically a word designated to refer to violence done for political purposes, the word has been hijacked. It is now synonymous with foreign threats and 9/11. And because this attack is considered a threat to national security (until it is known whether it is foreign or domestic) the US government wants to err on the side of safety and place catching the perpetrators as their top priority. Except, I have a hard time believing this. The day after the attack was supposed to be a National Call Day to get the American public’s opinion on gun control. Because of the bombing, that has been put on hold. Why is a talk meant to deal with violence suspended due to violence? Just because an act of terror was committed does not mean the previous acts of violence are suddenly ancient history. While I would want to believe our government is trying to protect us by placing our security first, security encompasses more than these bombings. If the highest concern of the US government was to keep us safe, the talks on gun control would be expanded to include all violence and terror, not postponed. I’m from Connecticut, but was out of state in college when the Newtown shooting happened. When I thought about starting this post, I was concerned that the moment had somehow passed and that there was a taboo on bringing up the shooting months later because it is officially a thing “of the past.” Really, I was just afraid to comment on the gun culture of America. I never paid attention to the NRA. I knew the organization was a lobbyist, but I knew it in the vague sense of knowing, the way you know you’d get arrested if you yelled”fire!” in a movie theatre. You don’t want to test out the theory precisely because you believe it’s true. But even knowing the NRA is a major lobbyist, I never made the connection between the NRA, racism and gun control. I don’t claim to be an expert on any of the recent shootings, but I do see a pattern. The media focus after the attacks are never directly addressing the issue of gun violence. Everything else is blamed and questioned, but not the reason for why the American people are so adamant about owning guns. The media blames video game violence, bad parenting, moral degeneracy (as a by-product of the previous two causes), and anything as crazy as Marilyn Manson. But what interests me the most is the analysis of mental illness as a factor. Mental illness only comes up when the shooter is white. There is a push to somehow justify the shooter’s actions, to bolster the white race and show “white America” that the shooter is an outlier. It is a defense mechanism to protect the idea of a peaceful America made up entirely of white suburbs. In addition to the racism this projects, there is no thought about the ableism it harbors either and how this theory further serves to elevate the ideal of a white and perfect race. When the shooter is a person of color, it is expected that the person of color is morally degenerate already. There is no image to save, but a racial stereotype to reinforce. Why would the media waste time talking about mental illness as a cause of the violence, when people are ready to believe the violence is a natural by-product of race? The NRA comes into play because they love the racial stereotyping and the media’s back and forth over useless “causes” of the shootings. The NRA knows that everyone will ask “How does someone with a mental disability get a hold of a gun?” No one will bother to uncover the deeper question: “Why is anyone, mentally handicapped or otherwise, able to purchase assault weapons?” And if the shooter is a person of color, there won’t be as many questions asked at all. Instead, white suburban Americans will go out and buy more guns to protect themselves against an imagined racial threat. And while people argue over Republican and Democrat ideas of gun control, the NRA controls both parties. Liberal and conservative, both parties are bought and sold so the NRA and other lobbyists can feed off America’s fear and paranoia over racial strife. The greater the racial tension, the more guns fearful Americans buy and the more guns there are, the chances increase for another Columbine, another Aurora or another Newtown. I just came back from the most magnificent event. My college is fortunate enough to have hosted Lorrie King, the founder of the women’s health organization 50 Cents. Period. 50 Cents Period is an organization dealing with menstruation in developing countries, focusing currently in Andhra Pradesh, India; the Kathmandu, Sindhupochok, and Karnali portions of Nepal; the Masaka, Kutamba and Kasese portions of Uganda, and Managua, Nicaragua. The brilliance of this organization is not just in their efforts to promote healthy menstruation or their feminist push for female education. 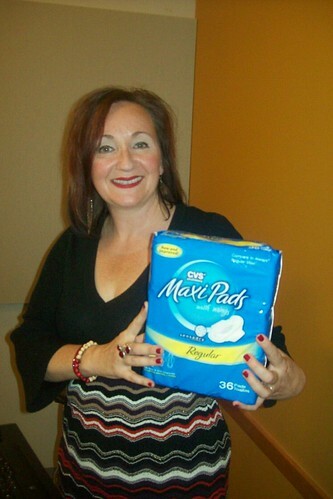 The brilliance is that women like Lorrie King are not afraid to talk about their periods. On a personal level, this struck me as incredibly fearless in an area that shouldn’t require bravery. And yet I know I struggle to remember that having my period is not a curse. It’s such a taboo subject that even going to CVS to buy pads is a mortifying experience that makes me feel degraded. On some level I can blame the world around me for perpetuating the idea that menstruation is an ugly, terrifying process that distorts the beauty of womanhood. But I know that it is my choice to believe this myth or not. I must applaud Lorrie King for reminding me that I can view my body’s natural functions as the natural occurrences that they are. I know I am not the only one who struggles with this self perception of womanhood. I am grateful to King again, because she has agreed to an open interview with me for this blog. I open the floor to you though. Please submit any questions you wish to ask and I’ll forward them to King for the interview. Please get the questions to me by April 12th. After April 12th, submissions will be closed.